May is the most appreciating month. Why? Because is the month of giving thanks to lovely mummy and Teachers (Thanks Cindy for reminder) and also GE13; which whole world actually keep on eyes on it. This Soap attracted me the most. This soap has wonderfully creamy in texture and provide gentle cleansing on sensitive skin. With its ingredients sourced directly from the purest Australian Goat Milk farm, these soap bars are chemical free. What's more, they are further enriched with skin conditioning Organic Shea Butter, Organic Jojoba Oil and Organic Cocoa Butter. This Essential is made of steam distilled Lavandula Angustifolio flowers of a French Origin. Its can be inhaled or applied on the skin. 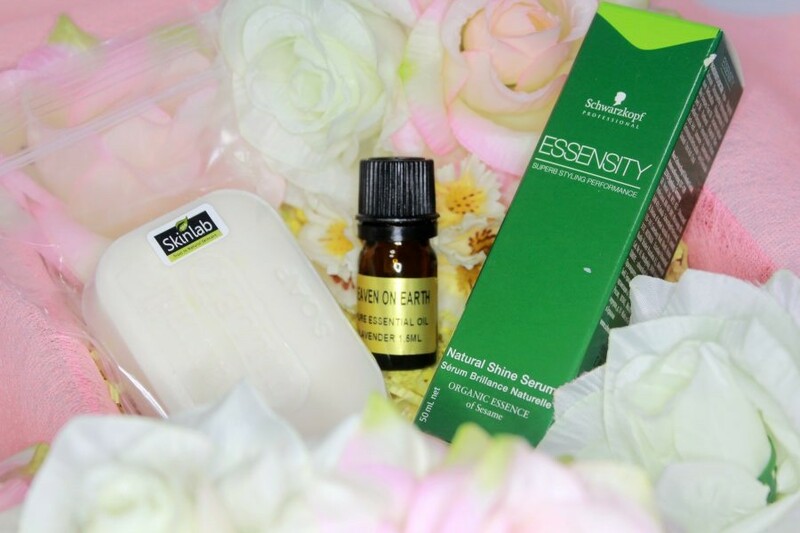 It also helps to promote sleep, balance and tone skin, reduce anxiety and aches, soothe insect bites and provides a relaxing and soothing inner calm. This serum gives a natural velvet sunshine to your hair surfaces, smoothes your tresses and tames the unruliest mane around. This serum contains a combination of organic essences of Sesame and Olive Oils to improve the quality of hair texture for easy maintenance. 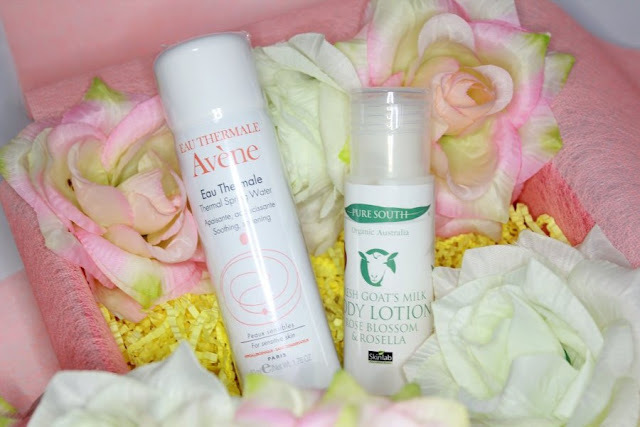 Avene's Thermal Spring Water is ideally produced fore the care and management of sensitivity skin. Its unique composition, which soothes and softens skin, has been clinically proven by over 300 stringent studies that it demonstrates skin-soothing and softening benefits. This lotion will helps you to moisture and nourish your skin, scented with native Australian plant extracts and pure essentials, the Vitamin A and D-rich lotion is effective for treating dry and distressed skin conditions. The lotion also contains rose oil and Rosella extracts that stimulate metabolism for optimal skin cell renewal. 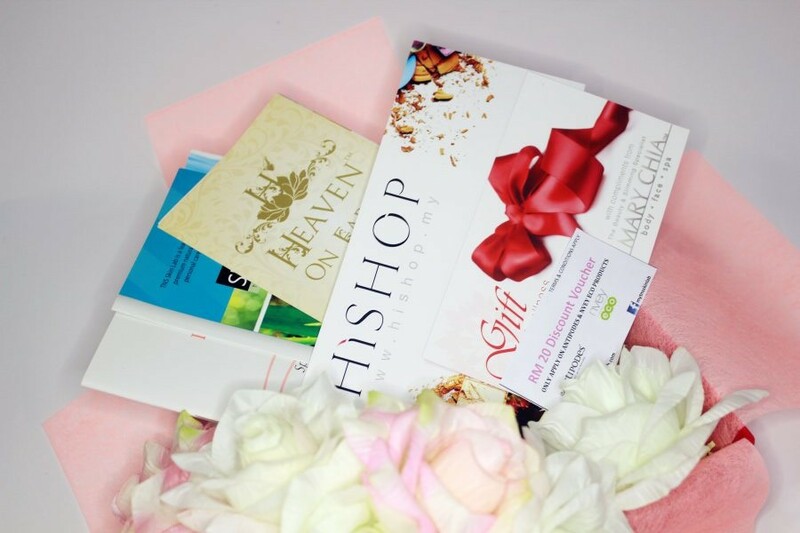 I got Mary Chia, The Beauty and Slimming Specialist gift voucher, Skinlab RM20 discount voucher, Hishop RM25 cash voucher and also mini booklets about products. Yes, I definitely need this because I am interested to know more Skinlab, the goatmilk products. I am satisfied for May, 'Awesome Wholesome' Beauty Box. My favorite product among all is Schwarzkopf Essensity Natural Shine Serum because my hair really need more vitamins for care due to frequently dyeing hair. Although I haven't tried all those products but I also can't wait to try Tilley's Goat Milk Soap Body Bars because the ingredient inside really attracting me. The products inside is totally more than the price. 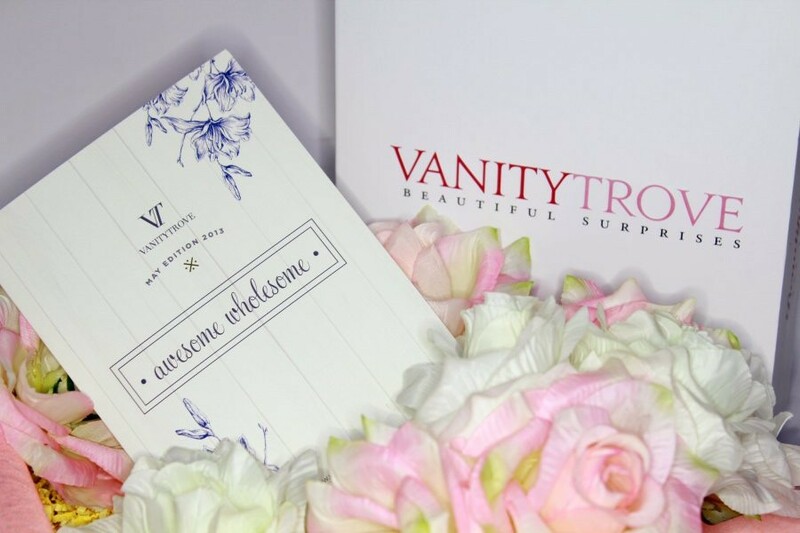 By the way, if you're subscribing Vanity Trove Beauty Box, you will received six to eight luxurious beauty treats in a box. lovely flower..are those fake flowers?